After doing all of my research last weekend and trying to get my best price on Hyundai Elantras from different dealerships here in Western Massachusetts, I finally decided to buy a car. If you remember, I was looking for a 2012 Hyundai Elantra Limited in Red Allure with the technology package. I had been dealing with Brian Houser at Balise Hyundai in West Springfield, who ended up being a real sleazebag. I decided that I would see if I could match the price that I had from Balise Hyundai. So I sent out emails on Monday morning. I didn’t hear back from Hyundai of Keene (their communication had turned out to be poor), nor did I head back from Ford of Greenfield in a timely fashion. I figured I could stop in at Country Hyundai, test-drive one of the cars I was interested in, and go from there. I worked with Chris, and we went through the typical process of buying a car. I test drove the car and very much liked it. We couldn’t initially agree on a price that I was comfortable with, so I ended up leaving. On the way home, I realized that no on at Country Hyundai had asked if I was a recent grad, so I called them up and asked if we could reach the price I was looking to pay. Mike Paquette, the manager I was working with, was able to give me a great deal, similar to the deal I was looking at from Balise. Mike told me to come back and we could fill out the paperwork. I went back to Country Hyundai in Greenfield and we filled out all of the paperwork to get the buying process started. Because I was looking for a specific car, Country Hyundai didn’t have it in stock. They told me they’d locate the specific Hyundai Elantra I was looking for. On Tuesday evening I was alerted that the car I was looking for would be at the dealership on Wednesday afternoon. 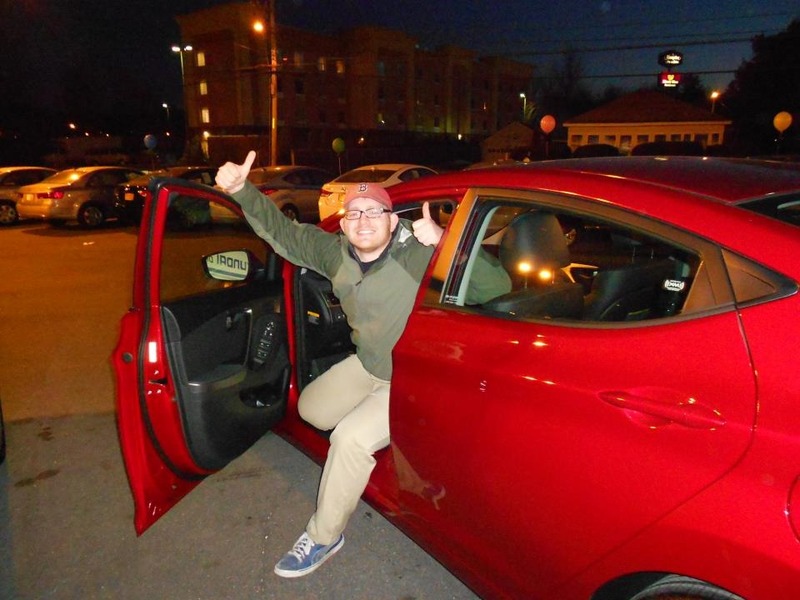 I stopped by Wednesday afternoon, test-drove the car, and did the rest of the paperwork with Ryan Fluet, the finance manager. We went through all of the required steps, and I was told to stop back on Thursday to pick the car up. My roommate dropped me off on Thursday night, I picked up the car, and everything worked great! Chris helped go through all of the options before I took it off the lot. I cannot explain how helpful Country Hyundai was in helping me purchase my car, and how they are probably one of the best secrets here in the Pioneer Valley. It was a great experience, and every aspect went faster than I could have hoped for. If you’re in the market for a new car, absolutely go check out the Hyundai Elantra, and let Country Hyundai help you out. Nice ride! I am looking for the exact same car but can’t find it anywhere! Did they come down in price at all from the msrp? I have emailed a bunch of places, many aren’t budging on the prices.